After allowing too much time elapse I would like to share some experiences and thoughts with you. For those who were not able to make it to the last symposium in Rotterdam, it was a fantastic event. Great thanks to Igor, Marcel and all the team from the Netherlands! One of the take away lessons for all of us was how a city can make enormous progress in reducing homelessness when organizations and government work together. Despite being away from our traditional base in the United States, there were over 300 participants. 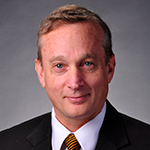 The presentations just seem to get better each year and our keynote, Jeff Olivet, truly inspired us to reflect on how to partner with advocates to address the deeper issues of social justice that lead to homelessness. 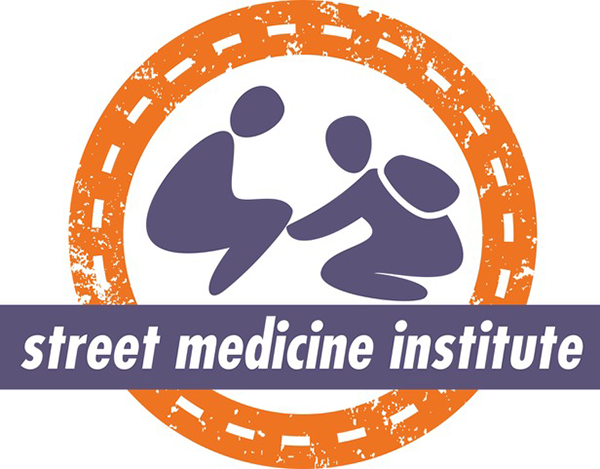 But by far my favorite moment was the official launching of the Street Medicine Institute Student Coalition. Brianne Feldpausch, a medical student from Michigan State University, organized a group of student leaders to promote the global student street medicine movement. I am pleased to report that this momentum has grown and they have subsequently identified and connected 30 health science schools that either have street medicine programs or are working towards that goal. I left immediately from Rotterdam to fly to Delhi in order to visit my dear friend Harsh Mander. Many of you will remember Harsh from his powerful keynote address at the 13thInternational Street Medicine Symposium in Allentown in 2017. He is the founder of the Centre for Equities Studies, and from that platform he and his team are helping to revolutionize social justice in India. I suggest you all look him up and read his books. In recent years, Harsh has created four new street medicine programs in Delhi, Patna, Jaipur and Hyderabad. I was blessed to join them on street rounds in Delhi and visit the work in Patna. The poverty is shocking, but the spirit of solidarity is strong. I loved the teams who visit the streets, and I was thrilled to visit the new recovery centers they have established for the unsheltered homeless with a variety of serious illnesses. At my talk in Patna, the medical students were particularly enthusiastic which made me quite happy. My deepest impression from the time I spent in India was that Harsh has truly built upon a profound respect for the humanity of those living on the streets and is creating a future in which social justice will be central. I hope we can make one of our future symposiums in Delhi! From Delhi I flew home, and then the following day I was off to Sao Paulo Brazil. Dr. Mario Campos is another incredible leader who has created his own street medicine movement within Brazil where there are now four new street medicine programs. Again I was privileged to lecture at the local medical school and enjoyed witnessing their work on the streets of Sao Paulo. The needs of Sao Paulo are enormous, but so is the volunteer spirit! There are literally hundreds of volunteers all working together in their Sunday street clinics. There are social workers, physicians, nurses, physical therapists and even street clowns. You can feel the love and joy coming from those who serve, and those who are being served. In a very different setting, I felt the same fierce sense of community I had just witnessed on the other side of the world in India. It’s hard to describe how inspiring it all was, and to see how street medicine is able to catalyze so much goodness. We had hoped to join our wonderful partners in Miami for the upcoming 15thInternational Street Medicine Symposium this year, but were unable to find a suitable venue. I am hoping we can partner in the future as they have been doing fantastic work in Miami for many years. The SMI board elected to return the 2019 symposium to Pittsburgh – the first time ever to repeat a city location. I am so excited to invite you all back! I could not be more proud of my home organization, Pittsburgh Mercy’s Operation Safety Net, which will be co-hosting along with Dr. Pat Perri’s Center for Inclusion Health. Things are falling nicely into place so make sure to join us. With any luck we will be able to show the Street Medicine Documentary film that has been 3 ½ years in the making! Well, that’s just a small part of all that is happening in the world of street medicine. Colleagues all over the world continue to pioneer new initiatives to bring care to those most in need, while others work to design research tools to document the effectiveness of that care. Health systems are becoming aware of the street medicine movement and are beginning to embrace the logic of going to the people who have fallen through the cracks. Students who are changing healthcare are emerging in greater numbers. But beyond all this, I can assure you that something more profound is happening. Hope and love are growing under bridges, in dark alleys, in slums, in the woods and abandoned buildings where too many of our brothers and sisters still dwell. We are affirming our deep connection and commitment to each other. This is the foundation we need to reimagine ourselves. I urge you all to continue and pray for your success.